The number of questions and comments we've heard in the past few weeks regarding what's shaping at San Diego State University is overwhelming. As a result, we've decided to provide some clarity and why ABC Medical has been involved. 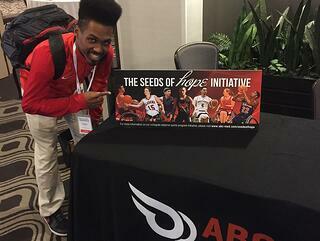 In 2016, ABC Medical launched the Seeds of Hope Initiative, which was inspired by the incredible performance of Team USA athletes in the 2016 Rio Paralympic Games and the hundreds of young athletes we have met in junior adaptive sports tournaments over the course of the years who have expressed their strong desire to continue their athletic career at the collegiate level, "if only they could get into one of the handful of colleges that offer a collegiate adaptive sports program in the United States." That's when two universities came under our radar: Temple University in Philadelphia, PA and San Diego State University in California. Little did we know about the growing momentum on the West Coast at San Diego State University back then, when we launched Seeds of Hope here in our small office in Exton, PA last year. Little did we know that our passion and mission could be heard and recognized so much by a small student group on a college campus which would eventually lead into regular meetings and the planning of a historic showcase on January 26-27, 2018. Little did we also know that a year ago when we started talking to the Aztec Adaptive Sports, we would get so heavily involved in their mission to pave the way for the first competitive collegiate adaptive sports program in California and plant the seeds of hope. According to a research, conducted by the University of Houston professor, Michael Cottingham and his team on "Youth Participation in Adaptive Sports in the U.S." there are 62,101 youth participation in adaptive sports programs across the United States and 3,431 of them participate in the state of California. Despite these findings, there are 11 collegiate adaptive sports programs in the entire nation and not one exists in California. 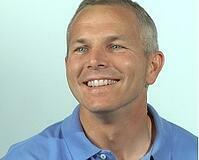 "Where will these kids go to college? The numbers bothered me, and it led our team to invest our time and energy on helping the San Diego State students establish a program in San Diego. It’s time for San Diego to have a program that can pave the way for young athletes in the area. Aztec Adaptive Sports students are motivated, focused and dedicated to seeing their mission succeed and we are proud to be able to support their efforts,” said the visionary leader and CEO of Keith Jones. said Ahkeel Whitehead, 2016 U.S. Paralympian, 2017 SDSU graduate and current program director of Aztec Adaptive Sports ”Many California residents have to leave our great state and attend out-of-state universities to pursue their academic and athletic goals. In establishing an adaptive sports program at SDSU, we aim to develop adaptive student athletes to their highest potential and better represent our community, alumni and partners with excellence and distinction,” Whitehead said. 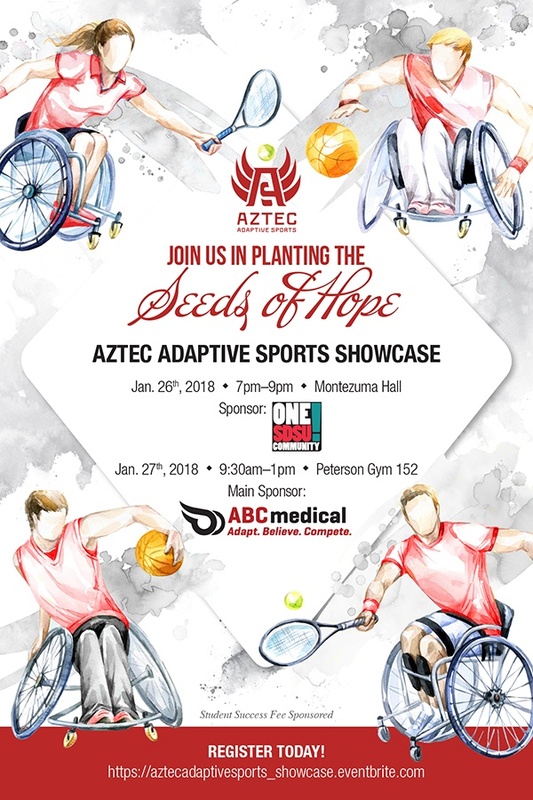 After a year long of hard team work, we are excited to announce that Aztec Adaptive Sports is hosting the first-ever Aztec Adaptive Sports Showcase to raise awareness regarding the positive impact a collegiate adaptive sports program would have at San Diego State University and the San Diego community, in light of the LA2028 Paralympic Games. This historic event will be held January 26-27, 2018 at San Diego State University and will feature a variety of paralympic sports, dance shows, keynote speeches, and a documentary. Among the participants some big names and organizations you may recognize include, but not limited to, David Kiley, 6-time Paralympian, Coach of the U.S. Women's Wheelchair Basketball Team at the 2010 World Championships (Gold medal), and Headcoach of the 2012 U.S. Paralympic Women's Wheelchair Basketball team(Bronze medal); Candace Cable, 9-time Paralympian, Vice Chair of the bid for LA 2028 Olympic and Paralympic Games; Margaret Stran, 3-time Paralympian and Associate Director of University of Alabama Adapted Athletics Program; and The Rollettes, LA-based wheelchair dance crew. On Friday, there will also be a screening of the wheelchair basketball documentary, The Rebound. Last but not least, ABC Medical All-Star Team which is comprised of Alabama Alumni Women's Wheelchair Basketball Team members will be playing an exhibition game on Saturday. The showcase is free and open to the public. We invite all SDSU students, faculty and staff, as well as community members to join us for the 2-day showcase and witness the power of adaptive sports. To pre-register, please visit our Eventbrite page. 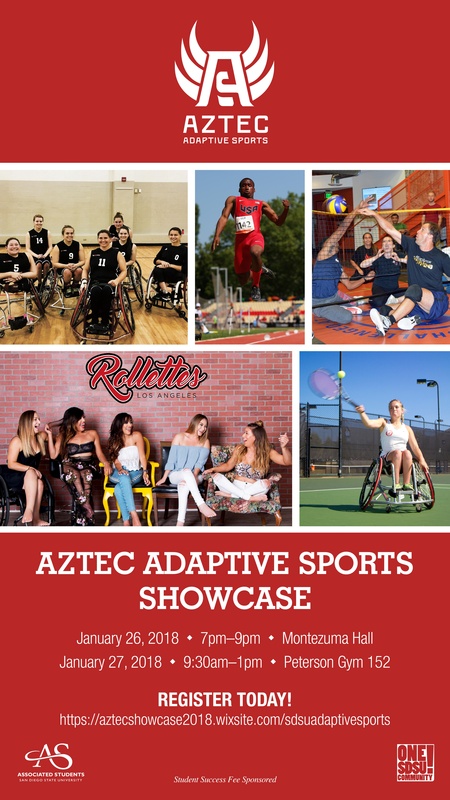 To learn more about the event and Aztec Adaptive Sports, please click here. For more questions, please email us at marketing@abc-med.com.